– To support the evolution of European and national network design through a studies programme. "optimisation of EUCOS on a European scale"
– Coordinating activities, monitoring progress, work plans, requirements tracker, risk register etc. – Produce common Observations Programme mid-year reports to STAC, PFAC and Assembly. – Work with the EUMETNET Secretariat to ensure that the programme budget proposals for the Observations Programme and integrated Operational Services are delivered in line with the EUMETNET EIG budget and business planning cycle in the Financial Rules. – Identify issues and prepare supporting information for decisions within the Observations programme that have to be referred to STAC and/or PFAC. – Prepare statements on proposals for new operational services, projects or activities within the Programme. – Represent EUMETNET at meetings of the Observation Programme Managers. – Represent EUMETNET at international Conferences/Meetings. – Represent the Observation Programme at STAC, PFAC and /or Assembly, if necessary. – Coordinate and lead strategic roadmap development in the Observations Programme. – Interact with and ‘light’ coordination of STAC Working Group activities (example: WG-INS). Usually those WGs should work independently. – End of Phase reviews of Observation Programme. The current phase of the Programme started in January 2019 and will last until the end of 2023.The Coordinating Member is the UK Met Office. The Programme Manager is Bruce Truscott. The Observations Programme Management Team is comprised of three staff members. The Observations Programme Management Team is advised by the Observations Programme Advisory Group and the Observations Scientific Expert Team. The overall structure of the Obs Programme can be found here. EUCOS is the ground-based or non-satellite observing system designed for EUMETNET Members to serve the needs of the EUMETNET Forecasting (incl. 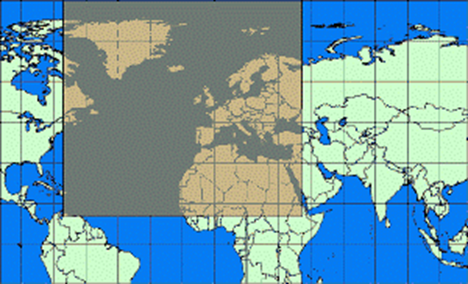 general numerical weather prediction) and Climate Programmes and those of the Members over Europe. Data is provided from several observing networks of all National Meteorological (and Hydrological) Services (NMHS) participating in EUMETNET. The data are collected within the EUCOS area 10°N – 90°N, 70°W – 40°E. – Selected GNSS sites providing GPS delay and water vapour measurements. – OPERA (data acquisition of European weather radar data to provide European weather radar composite products). The operational part of the Observations Programme will be steadily improved by considering experience gained from operations and specifically by taking into account the results of a dedicated studies programme. Changes in networks should be based on scientific analyses and therefore the EUMETNET Observations Programme launched several data impact studies in the past. A selection of completed studies is briefly described on the bottom of this page. Data impact studies usually comprise of a set of observing system experiments (OSE) or similar NWP experiments which are run to assess the impact of different observing systems on NWP forecast skill. 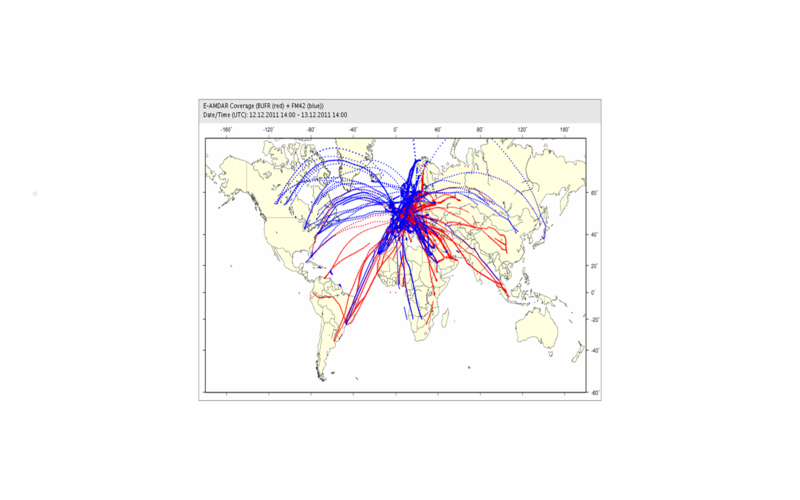 NWP groups of NMHSs or ECMWF conduct the studies and the Observations Programme works as an interface between data users and providers. Eventually recommendations are derived from the data impact studies which shall give guidance on how to (re)design the EUCOS in order to better meet the user requirements. In the current programme phase new findings from recently developed ‘Forecast Sensitivity to Observations Impacts’ (FSOI) tools or classical Observing System Experiments (OSEs) will help to define the contributions made by the various components of the terrestrial composite observing system. It will also be vital to take into account the increasingly important contribution made by the space segment, therefore the EUCOS network must be designed to best complement the operational space segment, and this should be an ongoing process. · The study on the impact of humidity observations reported from aircraft is one of the major issues to cope with in the current programme phase. In parallel a general FSO study which shall assess the impact of all EUCOS networks will be prepared. Outcomes of this study will be the basis for any EUCOS redesign considerations. · Taking into account especially results from the second Space-Terrestrial Study a new set of scenarios for OSEs will be proposed, which shall help to determine the impact of 10 and 20% reductions or increases in the budgets of the expensive ground-based observing platforms: E-AMDAR, E-ASAP and national radiosonde networks. · Taking into account that EUMETNET is going to significantly increase its efforts to create high quality Radar data and products via its OPERA programme, a first combined FSO/OSE impact study for kilometre-scale models will be initiated which will look into the impact of spatially and temporarily highly resolved observations like Radar observations. Special emphasis will also be given to other observing platforms with high temporal resolution like wind profilers, E-GVAP and E-AMDAR. 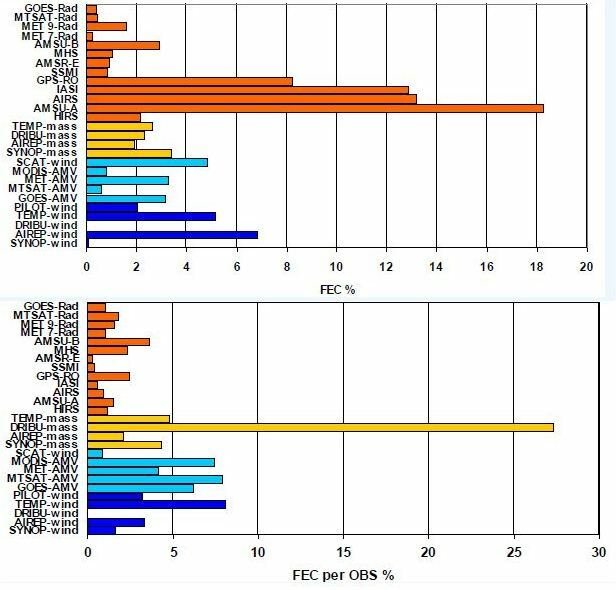 A joint study between EUCOS, EUMETSAT, ECMWF and a number of NMHSs had been conducted in 2006/2007 to better understand the impact of the various components of the full space-based and terrestrial observing system on the performance of regional NWP in the 1 to 6 day forecast range. Forecast Error Contribution for different observing types; copied from 2nd Space Terrestrial Study ECMWF Final Report. The main objective for the Upper-Air Network Redesign study was the definition of a European-wide network of ground-based upper-air observing systems whose configuration and setting is based on scientific analyses. The S-T study had shown that despite of all the additional new satellite observations, the degrading of the current terrestrial observing system to a basic network would have a significant negative impact on the forecast skill. The aim of data targeting is to deliver additional observations when and where they will be most beneficial to subsequent forecasts. The locations, “sensitive areas”, will vary from day to day and the supplementary observations will be most valuable if they help reduce uncertainty in cases of potential high-impact weather. A full trial of the DTS took place three times. For the EURORISK/PREVIEW project between February and December 2008, for the DTS-MEDEX-2009 campaign between September and December 2009 and for the HyMeX campaign between September and November 2012. Extra observations were requested from available E-AMDAR (commercial aircraft), E-ASAP (ships) and EUMETNET Members’ radiosonde stations in the target areas. All additional observations were available on the GTS and could be used in forecast models. The EUCOS Operational Programme was established on 1st January 2002, based on recommendations resulting from the EUCOS Implementation Programme managed by Météo-France, which started in 1999 and ended on 31st December 2001. It aimed to establish and operate a truly European observing network under the auspices of the European Meteorological Network (EUMETNET), to deliver increased efficiency, leading to better-quality numerical and general forecasts, initially on a European scale. Since 2002 the EUMETNET Composite Observing System (EUCOS) was being developed from the planning phase to an operational programme as an integrated terrestrial observing system for Europe serving the needs of regional numerical weather prediction. EUCOS has evolved rapidly by active co-operation and support of all the members of EUMETNET. In the period 2002 till 2006 the UK Met Office was responsible member of the EUCOS Operational Programme. 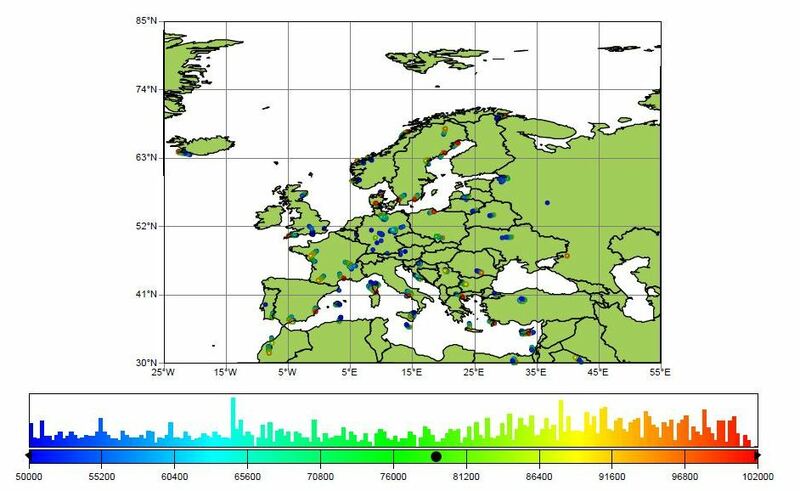 The first study confirmed the surfeit of upper air data across central Europe and indicated that benefits from sub 3 hourly sampled AMDAR profiles would only be obtained in the more outlying, data sparse zones such as northern Scandinavia, the Mediterranean and the Iberian Peninsula. The second study was designed to help address the definition of a targeted observations programme for Europe to improve regional NWP skill, especially concerning high impact weather events. Small positive impacts on forecast quality were generally obtained but it was clear that further research effort is needed to fully define a targeted terrestrial observing system. 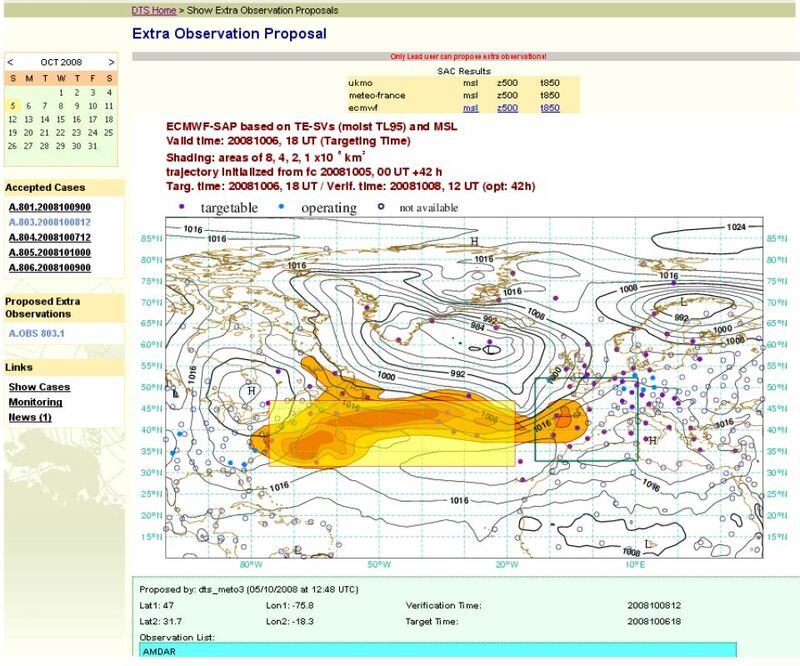 This work continued under the EU GMES EURORISK-PREVIEW Programme in which EUCOS was responsible for developing improved methodologies for meteorological observations targeting and conducting a demonstration of capability in 2008. 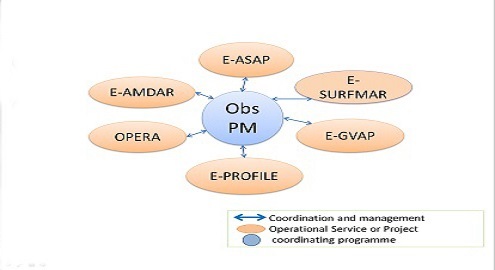 The E-SURFMAR programme was established during 2003 as an optional element supported by 15 countries on the basis of a detailed programme proposal. This was followed by a comprehensive design study which was accepted at the autumn 2004 EUMETNET Council meeting. The E-SURFMAR Programme has seen significant reorganisation in the management of marine observing programmes within Europe. The EUMETNET Composite Observing System (EUCOS) has been developed as a comprehensive and integrated terrestrial observing system for Europe serving the needs of regional numerical weather prediction (NWP). Already in the programme phase 2002-2006 it was clear that in the long term the remit of the programme may be extended to other application areas such as short range forecasting, nowcasting or even climate monitoring, but for the programme phase 2007-2012 the focus remained on meeting the needs of regional NWP. The discussion planning the programme phase 2007-2012 for EUCOS started at the specially convened PB-OBS workshop in Dublin, November 2004. Given the fact that results from the Studies Programme were not available before mid 2007, a two stage approach was accepted for the programme 2007-2012. In order to achieve the programmatic targets set in, this programme phase was split into two parts. delivering a timely flow of EUCOS funds from participants to the various components of the programme. Within the programme phase 2007-2012 DWD launched and operated a new EUCOS Quality Monitoring Portal (QMP) and initiated and monitored scientific studies like the ‘Upper-Air Network Redesign Study’ or the ‘2nd Space-Terrestrial Study’. In collaboration with the programme component E-AMDAR the addition of humidity measurements on AMDAR aircraft was initiated with high priority. A second space terrestrial study investigating the benefit of the expected additional satellite data from METOP and the improvements in data assimilation schemes has also been initiated by the EUCOS Team. Further the EUCOS Team continued to operationally integrate data from WINPROF, OPERA-III and E-GVAP and the requirements for a central data hub with high availability were exploited. Due to the transition of EUMETNET into the new legal body ‘EIG EUMETNET’ the operational EUCOS Programme phase was prolonged to 2012. In the period 2010-2012 the EUCOS Team contributed to the evolution of the EUMETNET Observation capability area by proposing new activities or by supporting the development of the EUMETNET Observations Roadmap 2012-2020. Thereby the EUCOS Team responded to the growing interest of Members to include requirements from many different data users (e.g. general NWP, Climate and Nowcasting), to extend the remit of the programme beyond regional NWP and to show benefits for the Members. The EUCOS Team led the drafting of the Observation Requirements for the new programme phase 2013-2017 on which the call for tenders for the next programme phase 2013-2017 was based. DWD successfully applied again to be Coordinating Member of the current Observations Programme phase 2013-2017 (prolonged to 2018). One of the major tasks of the Observations Programme Management Team is to ensure the delivery of quality assured data by operating several web-based automated tools to monitor the performance of the EUCOS networks and to perform active quality control of the EUCOS and Members’ observing networks by regularly monitoring of data availability, timeliness and accuracy. Following defined fault recognition and escalation procedures the Observations Programme Management Team raises fault reports in case of failures or outages of observing systems, contacts national focal points or Operational Service/Project Managers and coordinates tasks to solve the issues. Further the Observations Programme Management Team provides quarterly and annual reports on quality monitoring issues for all EUCOS networks. 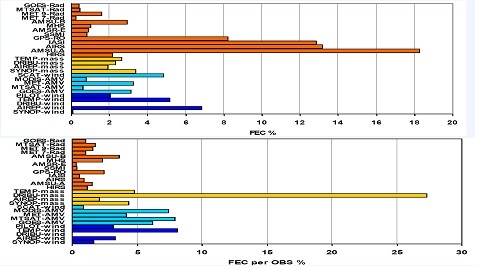 The performances of designated EUCOS stations are compared against targets on data availability, timeliness and accuracy defined in the ‘EUCOS Performance Standards’. These Performance Standards have to be revised in order to take into account new requirements of EUMETNET’s Forecasting and Climate Programmes and new emerging needs from NWP in the programme phase 2013-2018. Initial integration of GUAN and GSN station lists into the existing EUMETNET EUCOS RA VI Quality Monitoring Portal and associated procedures and programmes. In coordination with the GCOS Network Manager the station lists of GUAN and GSN stations to be monitored in the EUMETNET RA VI Quality Monitoring Portal were defined in summer 2015. To distinguish between the quality monitoring statistics of Regional Association VI (Europe) and the global GCOS quality monitoring a selection function was implemented to allow the users to select the area / network of interest. Furthermore it was decided to rename the RA VI QMP into ‘WMO Quality Monitoring Portal’. The release of the new WMO Quality Monitoring Portal containing the GCOS quality monitoring statistics went online under https://eucos.dwd.de on 9th November 2015. 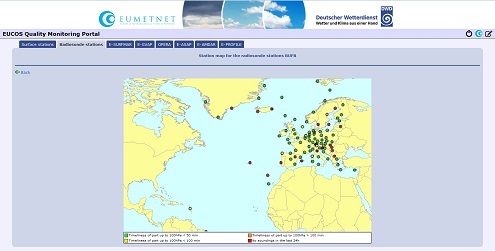 Thus, the initial integration of GUAN and GSN stations into the quality monitoring portals operated by EUMETNET was finalized end of 2015 and quality monitoring statistics are available back to July 2015 at present. The EUCOS territorial segment comprises of selected radiosonde and surface stations operated by members. The EUCOS upper-air network includes those radiosonde stations necessary to meet the requirements of Regional NWP over Europe. Results from the EUCOS studies of the programme phase 2002-2006 have led to a network comprising of 50 stations, data from which should be complemented by approximately 750 AMDAR profiles per day by 2006. Following the recommendations of the Upper-Air Network Redesign Study the EUCOS upper-air network has been revised in 2010 and consists of 93 stations since then. The Observations Programme Management Team monitors the performance of the designated EUCOS radiosonde stations on a regular basis and contacts the operating Members in case of failures and outages. Within the current programme phase the EUCOS radiosonde station network might be revised according to new user requirements from km-scale modelling, nowcasting and climate monitoring. The EUCOS territorial segment comprises of selected radiosonde and surface stations operated by members. 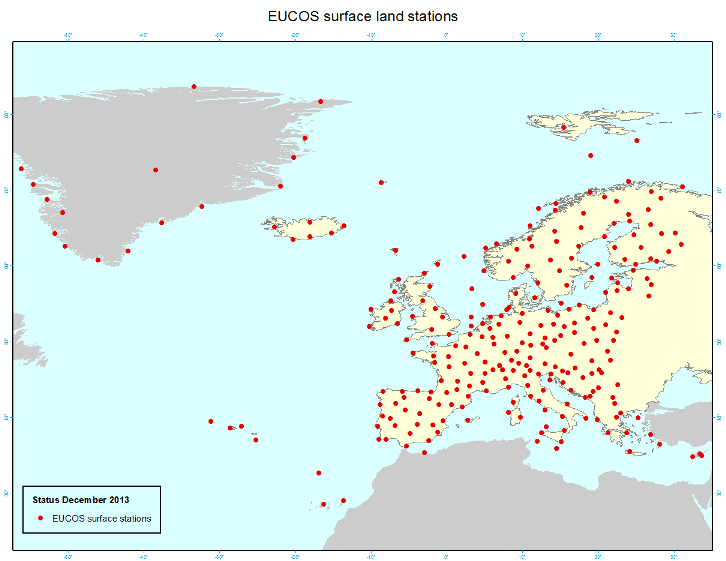 The EUCOS surface land station network comprised of 210 manual and automatic stations since 2006 satisfying the main user requirements from general forecasting and NWP. The central monitoring of the EUCOS surface land stations aims at improving data quality, network reliability, and data timeliness. An evenly-spaced network has been selected with an average spacing of not more than 250 km. Priority has been given to stations collocated with EUCOS upper-air sites, and additional surface stations were selected around the Alps and Pyrenees as well as Azores, Canary Islands, Iceland and Greenland. In 2010 the EUCOS surface land station network has been updated to close gaps within the network and to allow the new member countries Croatia, Estonia, Slovenia, Poland and Serbia to introduce surface land stations to the EUCOS network. It was agreed in 2009 to harmonize the EUCOS surface land station network with the requirements of climatology. At its meeting in March 2010, the ECSN (European Climate Support Network) Advisory Committee (EAC) has developed a roadmap for embedding climate requirements into the EUCOS surface land station network. EAC has set up a working group to develop the design of ESCLSN, the EUCOS surface climate land station network in cooperation with the EUCOS Team. The Observations Programme Management Team monitors the performance of the designated EUCOS surface land stations on a regular basis and contacts the operating Members in case of failures and outages. Within the current programme phase the EUCOS surface land station network might be revised according to new user requirements from km-scale modelling, nowcasting and climate monitoring. The updated EUCOS surface land station network 2013 consists of 268 synoptic stations (see map below).